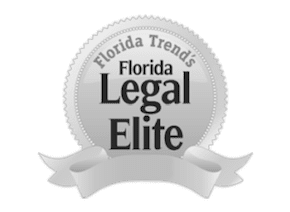 Why Is Filing an Accident Injury Claim in Florida So Important? In most cases, car accidents occur on the highway and are a result of one driver’s ignorance of the rules of the road. The reasons can range from tailgating to simply forgetting to check the rearview mirror. If you have been in a vehicular accident at the hands of another careless driver, it is crucial that you apply for a car accident injury claim. Applying for an injury claim enables you to invoke your right to claim recompense for damage suffered to your vehicle as well as your own personal and bodily pain and suffering. This is your right regardless of how big or small the accident may have been. The claim hinges on your personal injury and the negligence of the other party involved in the accident. Applying for a claim is especially important if the injuries you sustained are serious enough to have incapacitated you in some way. For example, if you have had to miss days of work or have been confined to bed, you will be entitled to compensation for your inconvenience and physical pain. Filing a claim requires the help of a personal injury attorney to guide you through the process. Not only will an injury lawyer guide you through the claims process, but they will also help ensure you receive the compensation you are entitled to. This involves gathering the needed facts, information, paperwork, and evidence to support your claims and win the case. Any accident claim should be filed immediately – if possible, immediately after the accident occurs. If you are physically incapable of doing so yourself, have someone you trust to go on your behalf. Items such as police reports, pictures of the accident scene, medical examinations, and witness statements are vital to your case. A good record of them can make all the difference in receiving the full settlement you deserve. Also, make sure to collect all contact information from the other driver in the accident. Both insurance and personal information are necessary to the process of receiving rightful compensation. Do not neglect to take down the contact information of any other passengers in the other vehicle at the time of the accident as well. These witnesses could prove beneficial to your case. During this difficult time, your insurance company is another party who will be able to help you through the maze of legal matters. Your insurance representative will deal with the insurance agent on your behalf to deal with your vehicular issues. File Your Injury Claim Today! Employing the help of Orlando injury lawyers and auto insurance representatives is a significant part of getting through your ordeal. Do not attempt to take on this process alone. Having the help of qualified professionals will release you from the burden while ensuring that you receive all the monetary compensation you deserve. Contact us today at (407) 228-3838.